When it comes to supplements for better health, the options are endless. 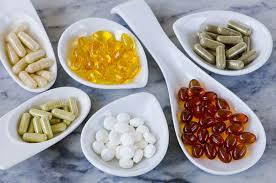 There are vitamins, minerals, concoctions for various ailments and herbal supplements. 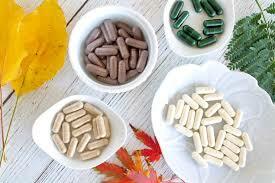 Some people take supplements for better overall health and to replenish a vitamin or nutrient they are deficient in. Herbal remedies are usually taken by people looking to cure or manage a certain condition. Whatever your reason for deciding to supplement your diet, it can be hard to figure out which of the best supplements you should be taking. The best way to get an idea is to speak with your doctor for advice and have some tests run to determine if there is anything you are deficient in. Vitamins are necessary for overall health. Most of the vitamins we need are acquired through the food we eat but sometimes certain health ailments can prevent the absorption of certain vitamins and minerals and sometimes we just don’t eat well enough to get the vitamins we need. If you are not deficient in anything, your doctor may tell you that a multi-vitamin is best for you and that may be all you need. Vitamin C is good to take during cold and flu season, vitamin D is good to take during the winter months when you don’t get as much sun and the B vitamins are good for mood disorders and depression and a blood test can determine if you are deficient. Iron is good for anyone with anemia. Herbal remedies are mostly made from plants and natural sources. Herbs have been used for centuries for various ailments. For example, Feverfew is supposed to be good for headaches and migraines, green tea extract and St. John Wort is used for depression, Echinacea is commonly used to prevent colds and other respiratory infections and Uva Ursi is a popular choice for urinary tract disorders. There are hundreds of herbs available on the market today and the best way to find out which ones are best for you is to talk to your doctor, talk to a natural health practitioner and do lots of research online. Other popular supplements that many people are adding to their diets these days include probiotics, prebiotics, green drinks, antioxidants, and protein supplements. Many drug stores, department stores, and health food stores also sell supplementary concoctions that feature a cocktail of vitamins, minerals and herbs that are aimed at treating specific things. For example, you can get supplements for healthier skin, healthier hair, healthier bladder and healthier heart among many other things. Supplements are something that a lot of different people are taking these days in order to get the most out of their diet and exercise. While many people feel like eating the right things and working out on a consistent basis is going to provide a little bit of a positive result, the fact is, supplements are going to really step things up to another level. It does not take a lot of effort to find all the different supplements out there on the market these days. Simply put, there are so many different things for people to consider that a lot of people don’t know where to start. It can certainly be overwhelming, but the good news is that there are plenty of reviews and other people trying out supplements as well. Perhaps the biggest piece of advice every person should consider when looking at supplements is to go after something that is made of natural ingredients. Nobody really wants to put in chemicals or something like that in their body. It can be very tough on the body to deal with something like that, so it makes no sense to rely on ingredients like that. Another thing to consider is what type of supplement is going to be best for the diet a person is sticking to. There are some diets that work very well, and they need to be done with the right type of supplement. Those supplements can maybe give a person a little bit more of the nutrients they need in order to live a healthy life. Exercise with any type of supplement is going to be very beneficial for a person. Even if they are not gaining muscle on a consistent basis, it does help to lose weight and to burn some of the fat. Anytime a person uses exercise along with a healthy diet and supplements, they are going to see faster results overall. There is no doubt that supplements are here to stay. Many people swear by them, and they certainly have a lot of benefits that are often overlooked. With all that being said, a person needs to be smart about making the right decisions when shopping. 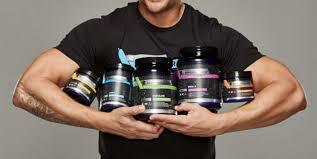 The last thing a person wants to do is get caught up in a supplement that promises way too much. If it sounds too good to be true, more than likely it is. There are a lot of good marketers out there who are just trying to do whatever possible to get as much money out of a customer.